Navigating the legal system can be frustrating and challenging under the best of circumstances. If you find yourself involved in the probate of an estate, you may find yourself in need of reliable, trustworthy community resources in the Wakefield, Massachusetts area. Because we understand how frustrating it can be trying to locate those resources, we have put some together for you. The following community resources can help you find much needed services, advice, and support. If the decedent executed a Last Will and Testament prior to death, the individual who oversees the probate process will be the person named as the “Executor” in the Will. If the decedent died intestate (without a Will), the person who oversees the probate process will be the “Personal Representative”. The Personal Representative (PR) can be any competent adult who volunteers for the position. If the decedent lived in Wakefield, the estate would be probated in the Middlesex County Probate and Family Court. You can locate commonly sought after information, such as the court address and telephone number, on the court’s website. Most Executor’s/Personal Representative’s decide to retain an experienced estate planning attorney to assist them with the probate process, given the complex legal issues that are sometimes involved. If you prefer to proceed without an attorney, however, the Massachusetts court system has a Self-Help Center that includes a section on “Wills and Estates” that may be of help to you. The section provides and overview of the probate process and offers some basic information that explains why probate is required. As a self-represented litigant, you may also find the section on “Representing Yourself in a Civil Case: Things to Consider When Going to Court” to be helpful as it provides you with some general information regarding what you can expect when in court. Finally, the “Court Forms” section offers a number of commonly used forms that self-represented litigants may need. If you are looking for general information and answers to some common questions about the probate process, you may find the American Bar Association’s (ABA) “Frequently Asked Questions – The Probate Process” to be a helpful resource. The Massachusetts Court System’s Probate and Family Court section also offers a “Links and Resources” page that provides direct links to a number of potentially important resources during the probate of an estate. You can also find links to relevant legal resources on the “Massachusetts Law about Wills and Estates” page of the Court’s website. If you were recently appointed the Executor or PR of an estate, one of the first decisions you should make is whether or not to retain the services of an estate planning attorney to assist you. You may proceed as a “pro se,” or self-represented litigant; however, keep in mind that the court will expect you to understand all of the applicable laws and court rules. If the estate is relatively modest and uncomplicated, it may not be necessary to hire an attorney. Probating a moderate to large estate, however, without the assistance of an experienced attorney can be challenging. Furthermore, proceeding without the help of an attorney could lead to mistakes that cost everyone involved both time and money. If you decide to consult with an attorney, one excellent resource for locating an experienced estate planning attorney in your area is the American Academy of Estate Planning Attorneys, AAEPA. The AAEPA is a national association of attorneys who have chosen to focus their practice on legal matters relating to wills, trusts, and estates. You may also wish to contact the Massachusetts Bar Association’s Lawyer Referral Service for help locating an attorney. As the Executor or Personal Representative of the estate the responsibility may fall to you to make funeral arrangements if the decedent did not make them ahead of time. If so, McDonald Funeral Homes, is located in Wakefield and offers a full range of funeral and burial services. You will also need to obtain several certified copies of the decedent’s death from the Commonwealth of Massachusetts Department of Health and Human Services . If you are unsure about the extent of the real property owned by the decedent, you can conduct a search of deeds through the Southern Middlesex District Registry of Deeds. You will also need to publish a notice of probate with a local newspaper to ensure that all unknown creditors of the estate are notified that probate is underway. Massachusetts Public Notices is one option for taking care of the publication requirement. Before assets can be transferred out of an estate during the probate of the estate, all state and federal tax obligations must be satisfied. All estates are potentially subject to federal gift and estate taxation. An estate probated in the Commonwealth of Massachusetts is also potentially subject to Massachusetts estate taxation. As the Executor/PR you must ensure that both tax obligations are calculated and paid if any tax is due. A general overview of the federal gift and estate tax obligation can be found on the “Estate Tax” page of the Internal Revenue Service’s website. You may also find the answers to specific questions regarding the federal tax on the IRS’s “Frequently Asked Questions on Estate Taxes” section. Answers to questions relating to Massachusetts estate taxes can be found on the Massachusetts Department of Revenue’s “A Guide to Estate Taxes” page on the agency’s website. 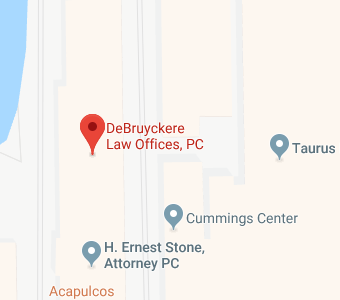 If you have additional questions about probate matters, contact the experienced Massachusetts estate planning attorneys at DeBruyckere Law Offices by calling (978) 969-0331 to schedule an appointment.